We all know how important people are to the success of any company. And one of the best ways to enable their growth is to provide regular feedback on their performance. 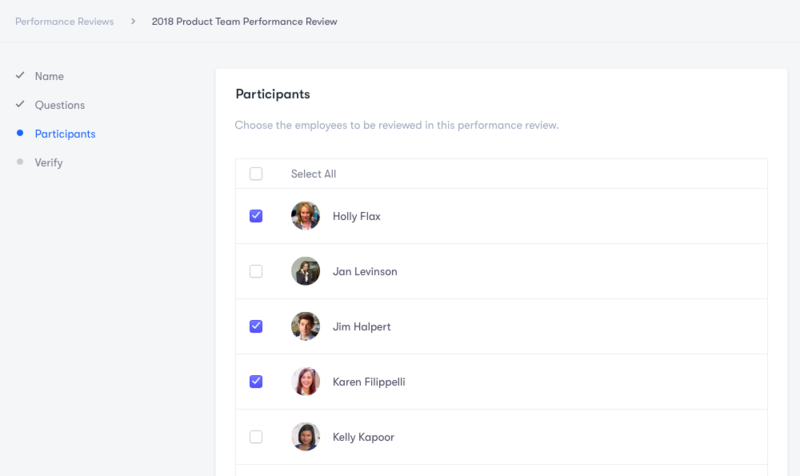 With Performance Reviews on Collage, you can collect formal feedback from managers, peers, and also have a space for employee self-reflection. A Performance Review (Review for short) is a structured assessment used to evaluate an employee's performance. As part of the process of creating a Review, you will be choosing a Question Set for each type of review you are planning to do. 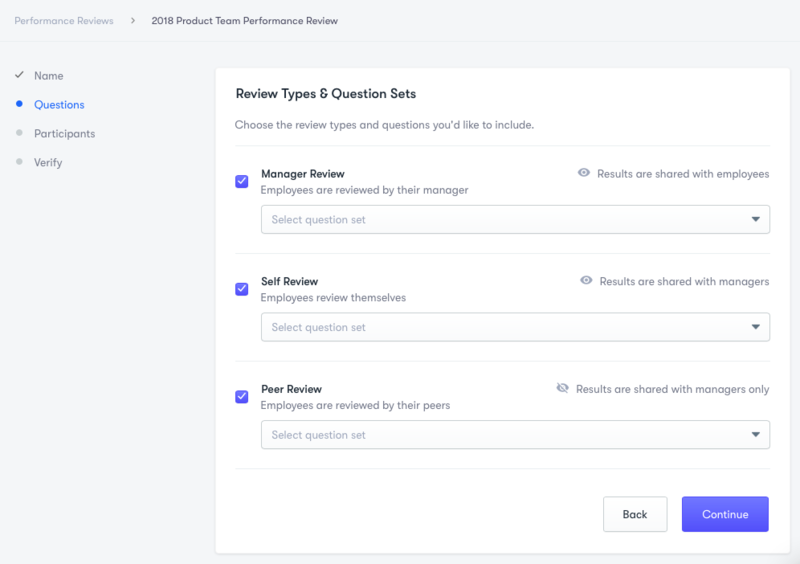 You will be able to either use one of our template Question Sets we have prepared for you, or you can create your own Question Sets before creating a Review. To create your first Review, start by clicking on 'Performance' in the menu list on the left-hand side of the platform. This will take you to the Reviews section of the Performance module. Note: Check-Ins are still available as part of the Performance module, found right under the Reviews in the menu list. Next, click on the 'Start a Review' button to start entering the details of your review. The first thing you will need to do is enter a name for your review. 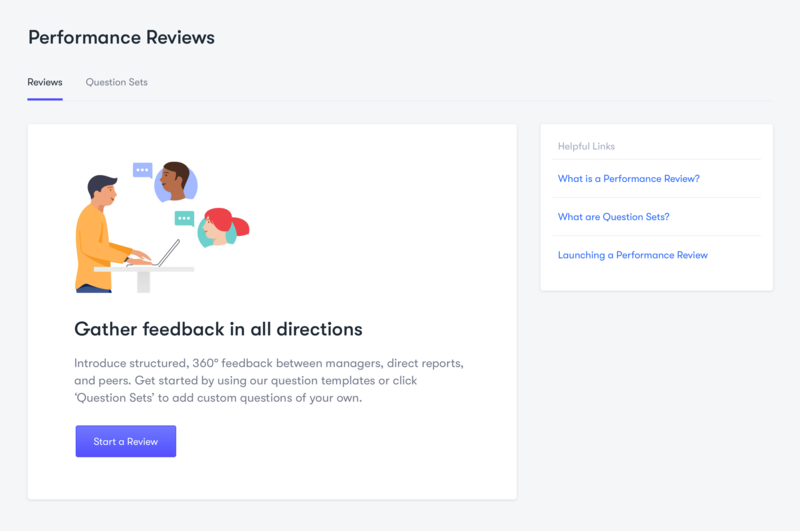 This should reflect how you conduct performance reviews at your company—whether you need one review for the entire team, or you segment it by department, or anything else. 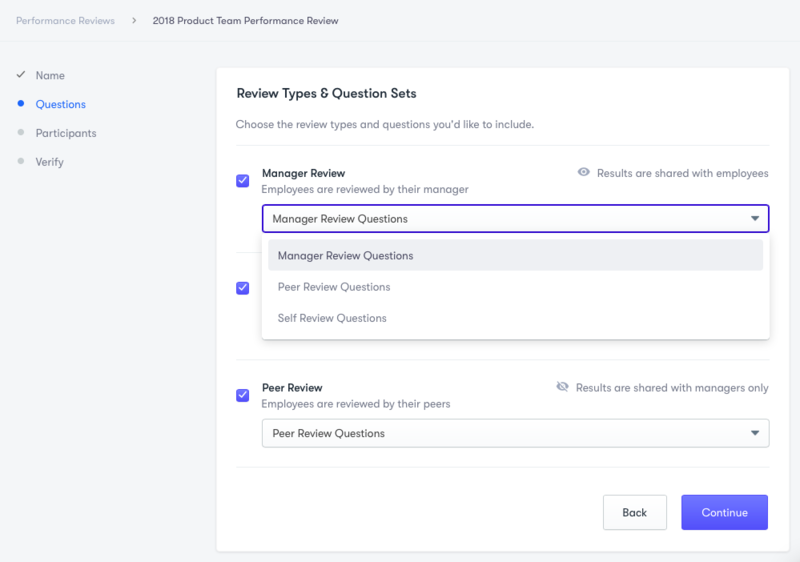 On the next page, you need to choose the Review Types that would be part of this Review and the corresponding Questions Sets for each review type. Review Types define who reviews the employee—a manager, peers, and/or it's a self-review. 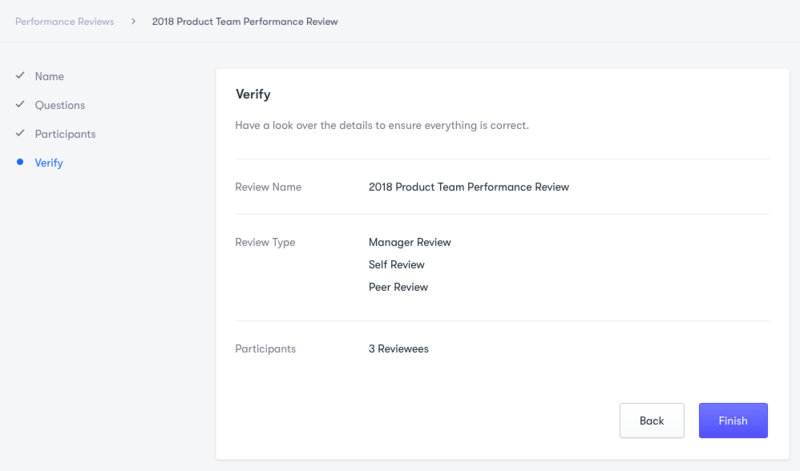 Each Review can include multiple Review Types. Peer Review, where employees are reviewed by their peer(s). Simply checkmark the boxes next to a review type to include it in the Review. Then, select the appropriate Question Sets by choosing on from the dropdown menu underneath the review type. At this step, choose the employees that would be reviewed as part of this Review. This is the last step to verify the details of your Review. Once you confirm that you picked the right name, review types, and the number of participants, click 'Finish'. By clicking 'Finish', the system will only create the Review you have set up. It will not launch it or send any communication to your employees at this stage. Note: You can edit each section by either clicking on the step on the left, or hovering over the section in the main window and clicking on 'Edit' on the right-hand side. 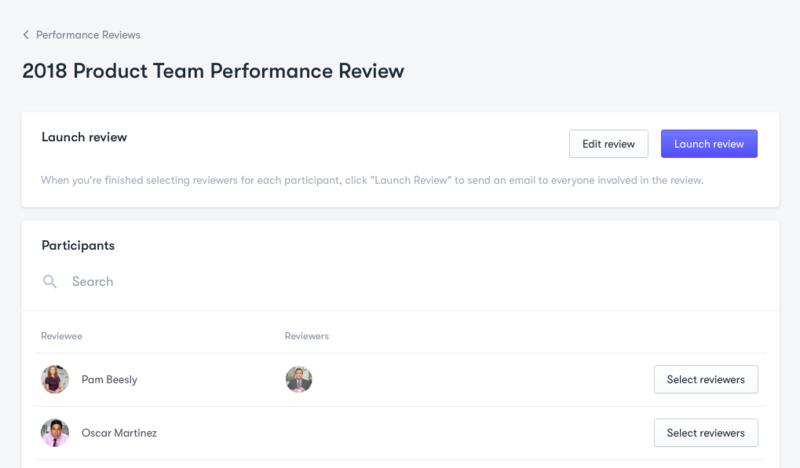 You will be now taken to the overview page of your Review, where you select the reviewers and launch the review to your team!